Our Principal, Ms Samara Chisholm. Samara came to Canberra High School at the beginning of 2013 as SLC for SOSE. Samara became our Deputy Principal at the end of 2015. 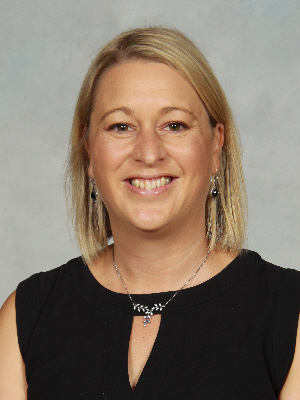 She has taught for 19 years, in English, SOSE and Science and has been SLC at Amaroo School. At Canberra High School I believe that all students should have the opportunity to succeed and have a variety of pathways available to them. Canberra High School’s dynamic curriculum and extra curricula activities provide students with the opportunity to pursue their individual talents. In my role as principal I will continue to support and nurture the strong tradition of excellence the school has. Our teachers are specialists in their areas ensuring they provide innovative and engaging learning opportunities for our students. I welcome you to be a part of our learning community of teachers and parents working together to support our students.